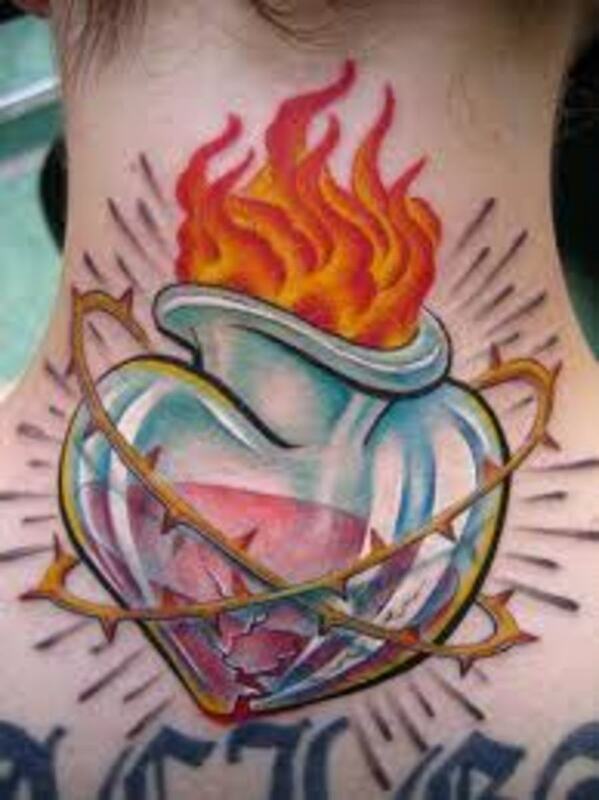 One of the most powerful religious symbols in the world is the sacred heart. 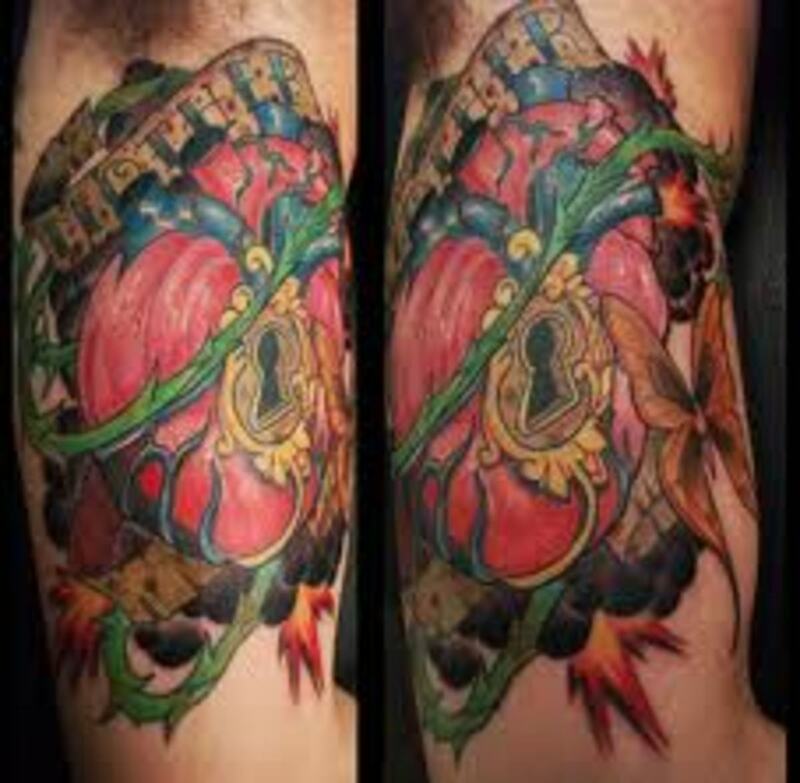 The sacred heart is a symbol that is known throughout the entire world. 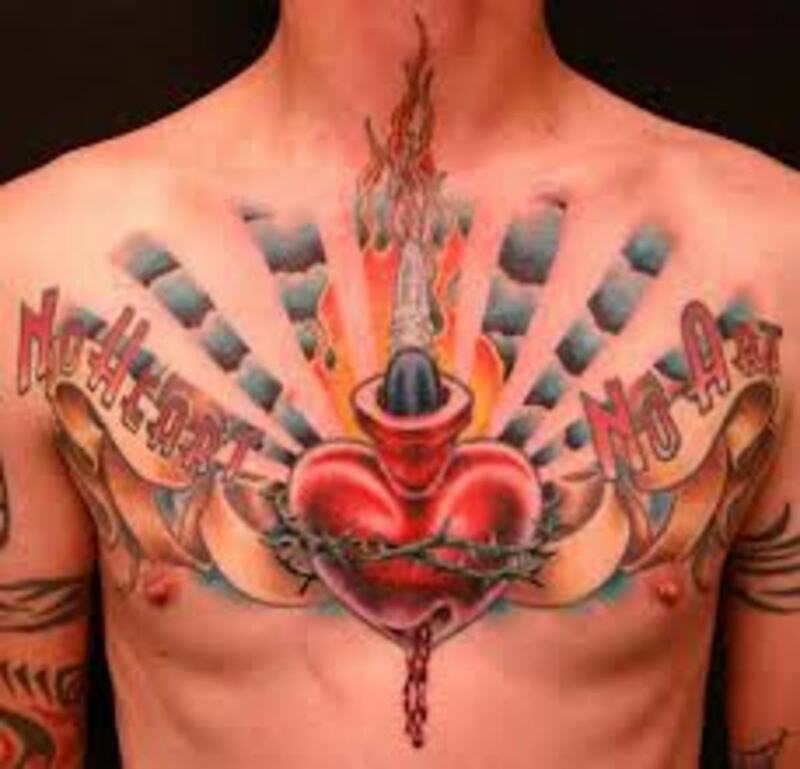 The sacred heart tattoo is one of the most recognized tattoos. 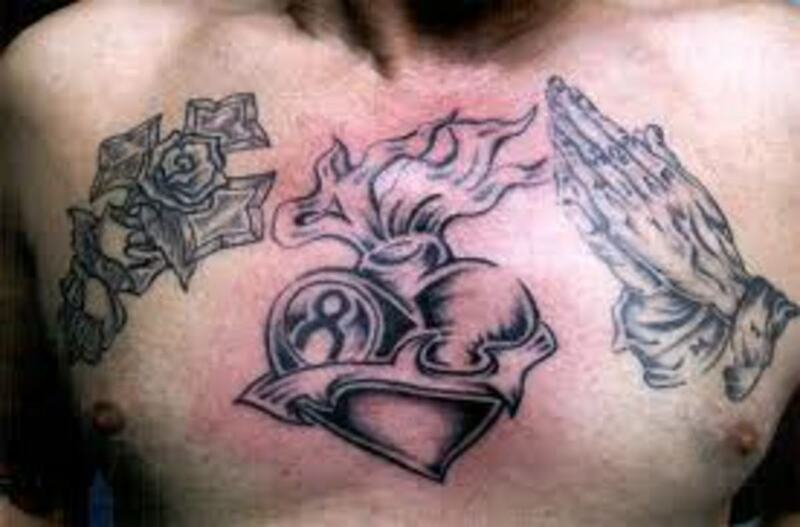 Sacred heart tattoos come in a variety of different designs. 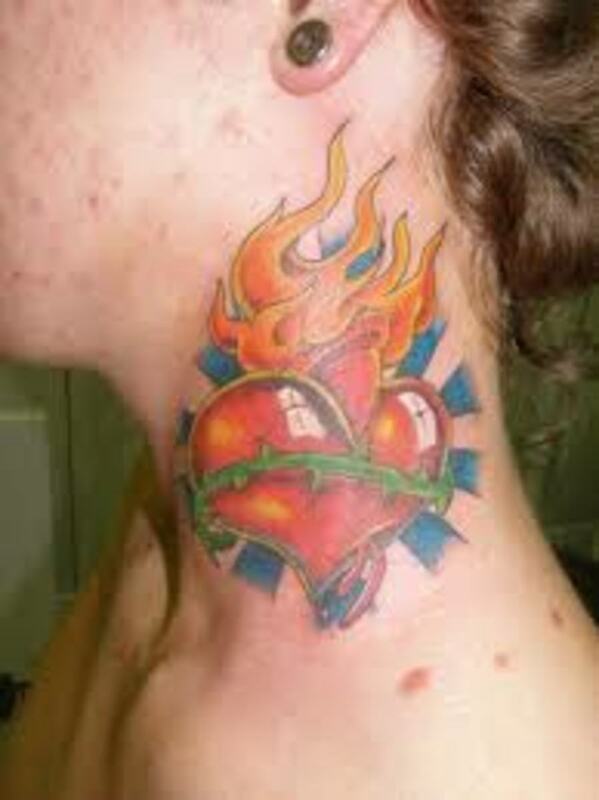 Sacred heart tattoos can be worn by both men and women. 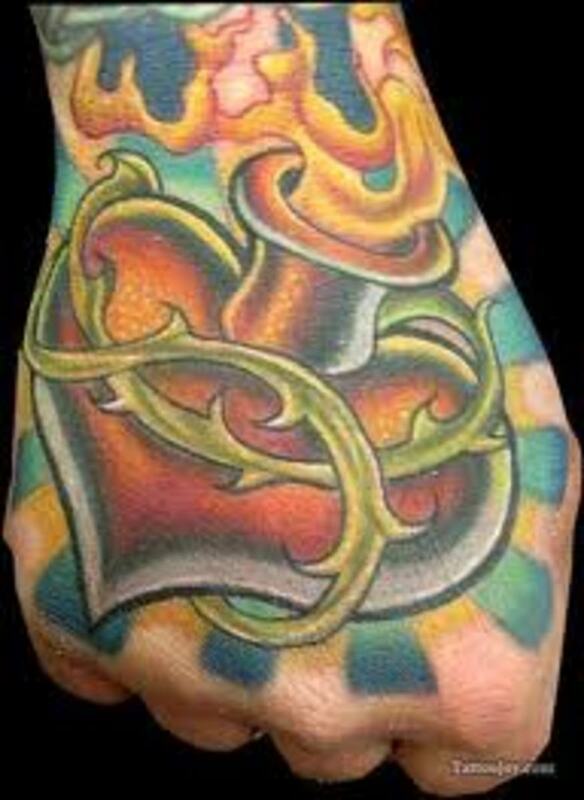 For those who wear the sacred heart tattoo, it usually holds a high level of symbolic value to them. 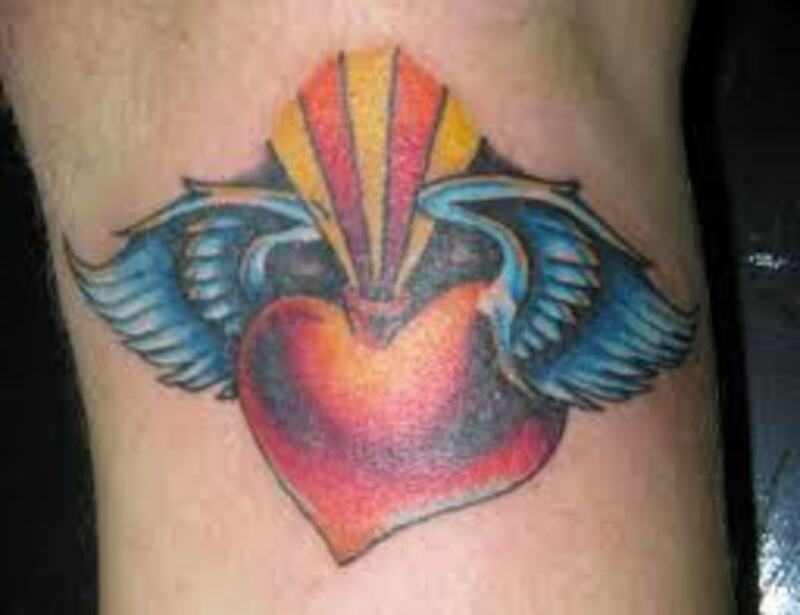 In this article, we will discuss the sacred heart, sacred heart tattoo designs, sacred heart tattoo meanings, and you will also have the opportunity to view several sacred heart tattoo designs. 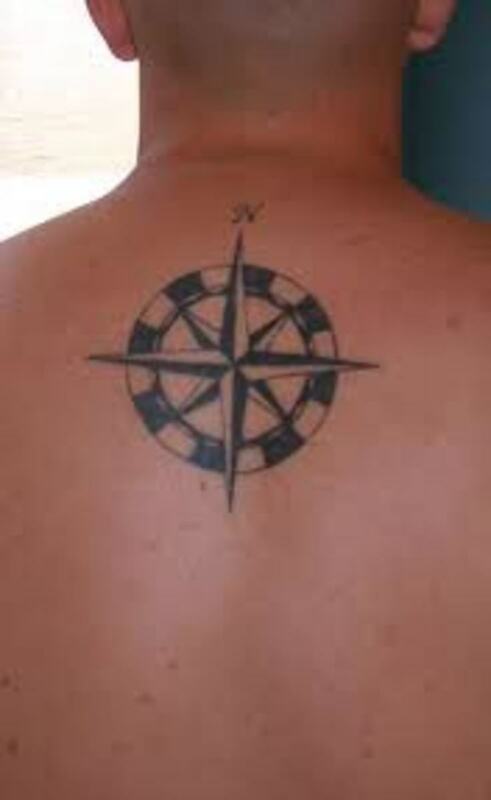 In the end, we hope that you are able to find ideas and inspiration for your next tattoo. 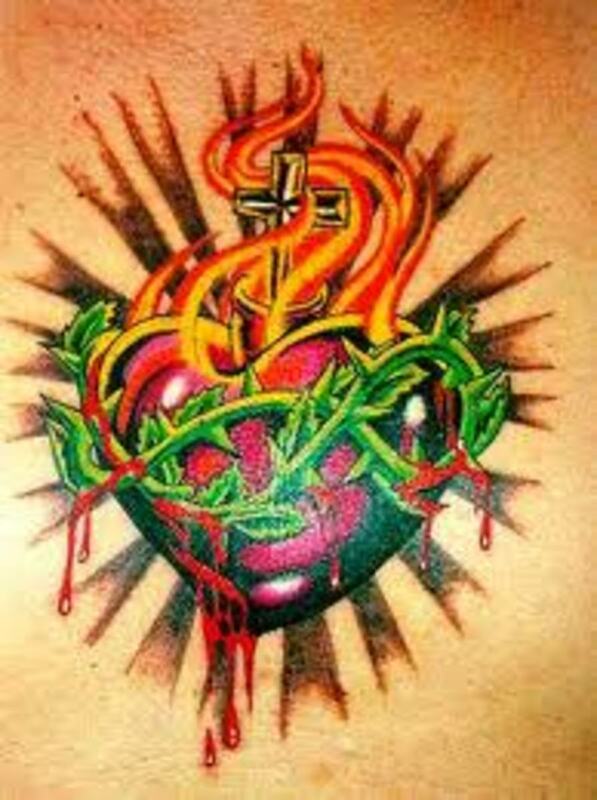 More then anything, the sacred heart is a symbol of the heart of Jesus. 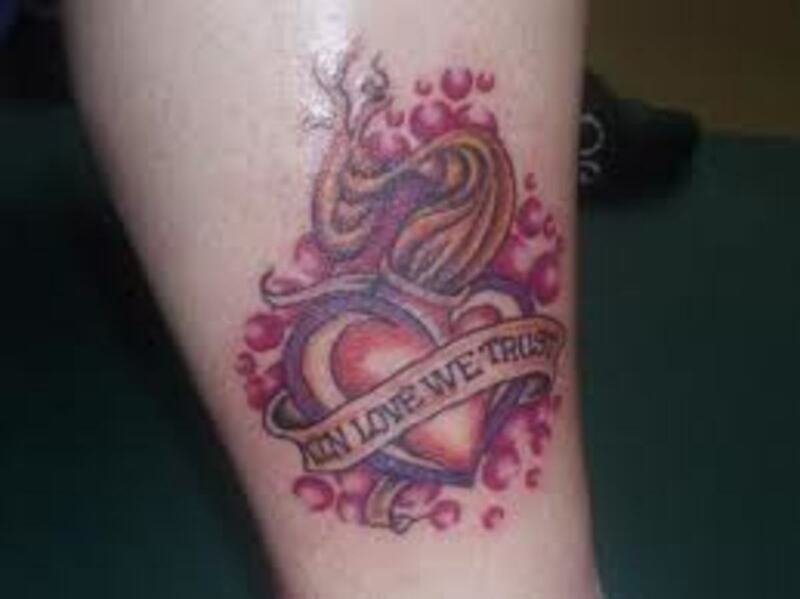 The same can be said about the sacred heart tattoo. 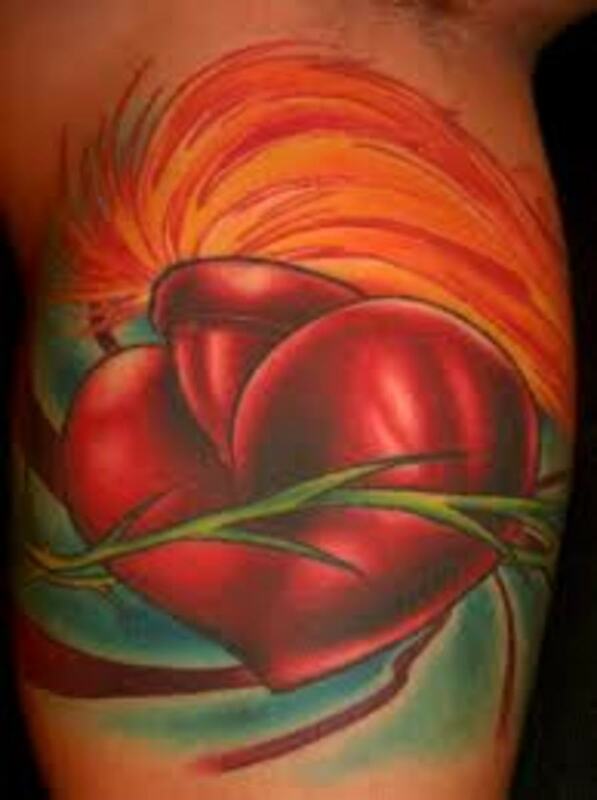 The sacred heart symbolizes the words of Jesus Christ. 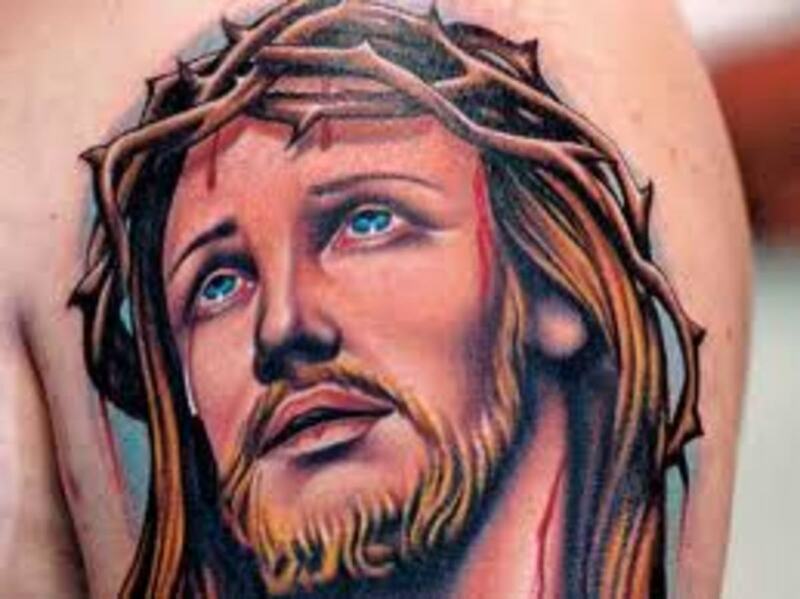 When it comes to religious symbols, the sacred heart ranks with the cross. 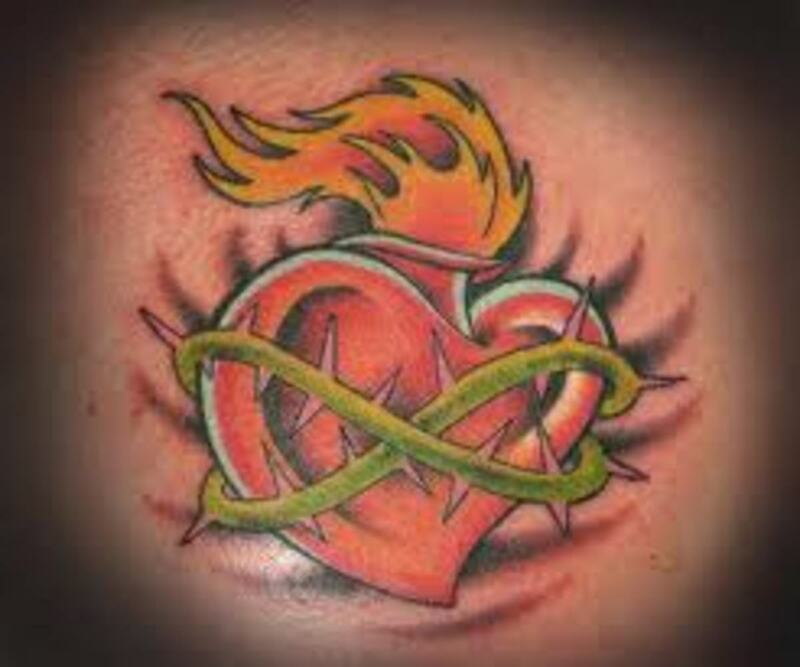 Comparing symbolic meanings, the sacred heart is just as it is said, "sacred." 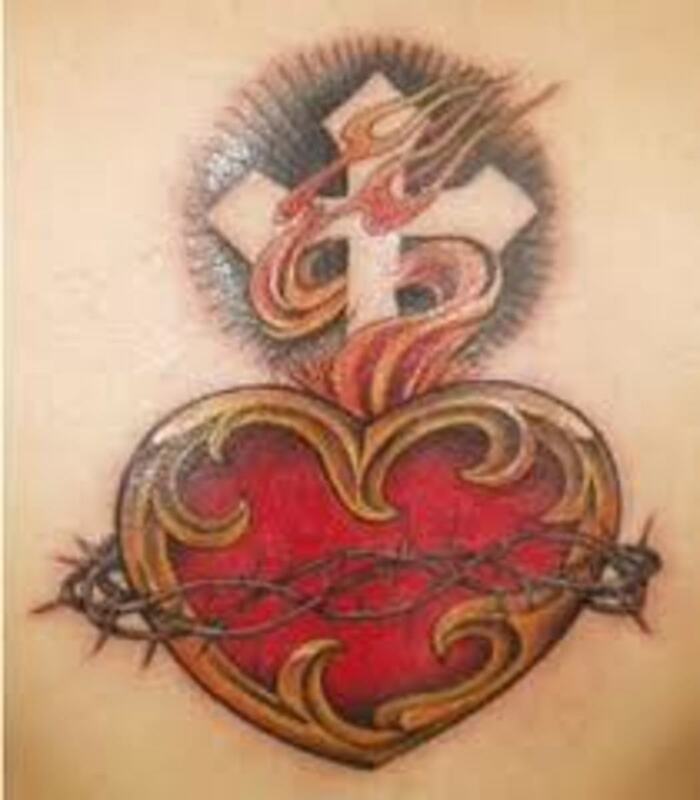 The sacred heart tattoo is the perfect tattoo for any Christian or anyone of faith. The sacred heart is inspired by the visions of Marguerite-Marie Alacoque. Marguerite-Marie had visions and saw Jesus Christ. She said that Jesus would appear in front of her. Marguerite-Marie had these visions for over a year, near a year and a half. 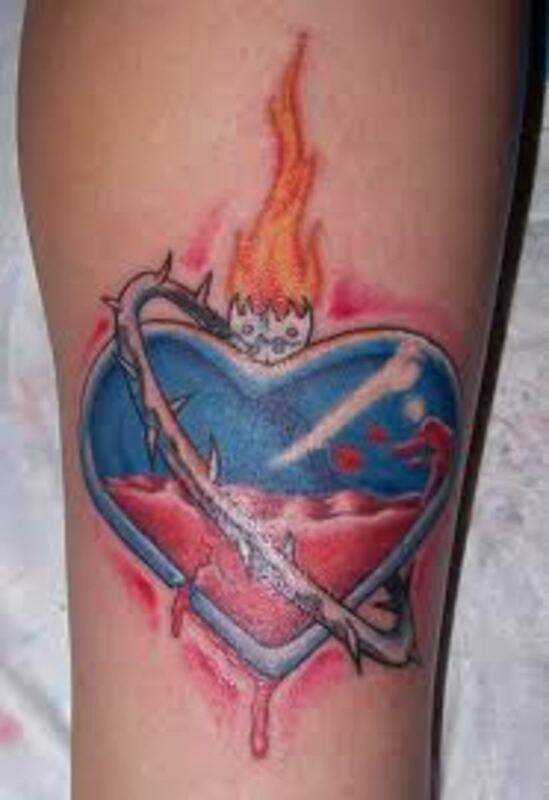 She said that Jesus revealed his burning heart. She said that there were light all over his body. 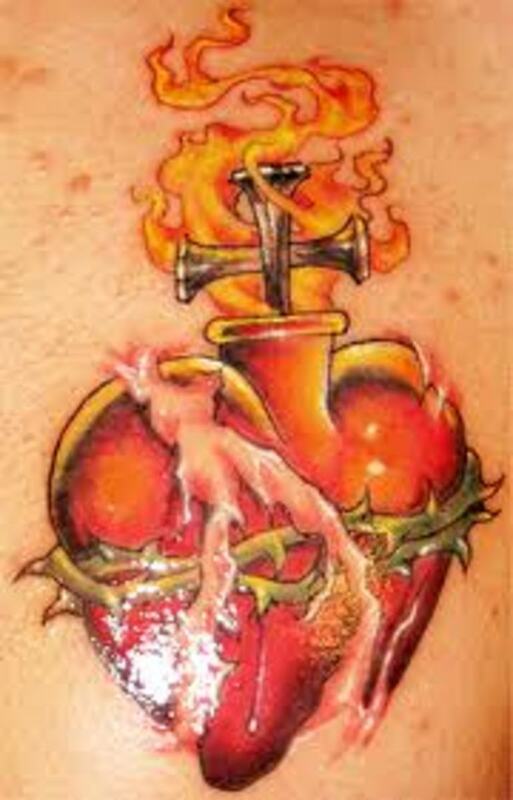 Marguerite-Marie said that it was Jesus' chest that burned the brightest, then revealing the sacred heart. This took place in the mid 1600s. Jesus made 12 promises concerning his sacred heart. You can find these 12 promises below. 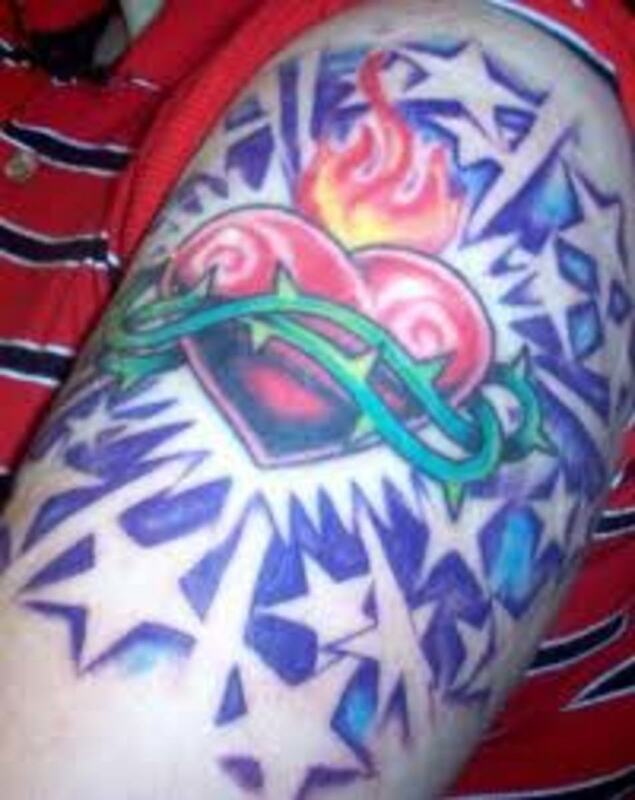 All though you don't see it a lot, you may want to use any of these for your sacred tattoo design. Like I said, it is rare, but it is an idea. I will give them peace in their families. I will console them in their troubles. I will be their refuge in life and especially death. 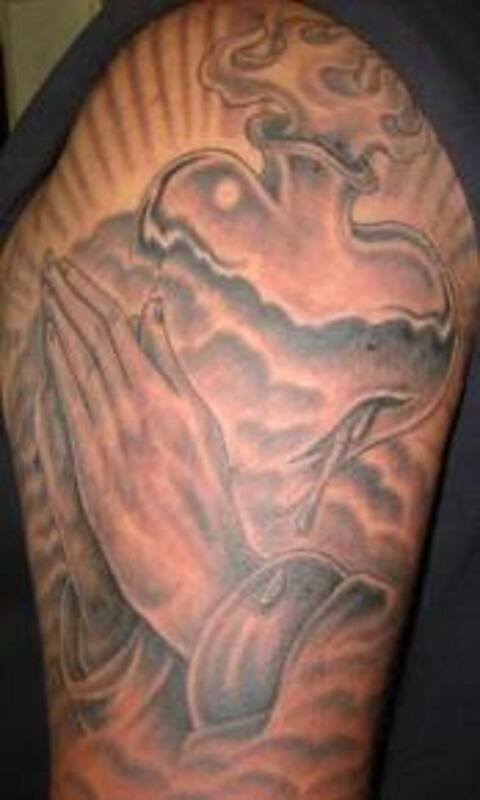 I will give the priests the power to touch the most hardened hearts. In the excess of the mercy of my Heart, I promise you that my all powerful love will grant to all those who receive communion on the First Fridays, for nine consecutive months, the grace of final repentance; they will not die in my displeasure, mor without receiving the sacraments; and my Heart will be their secure refuge in that last hour. 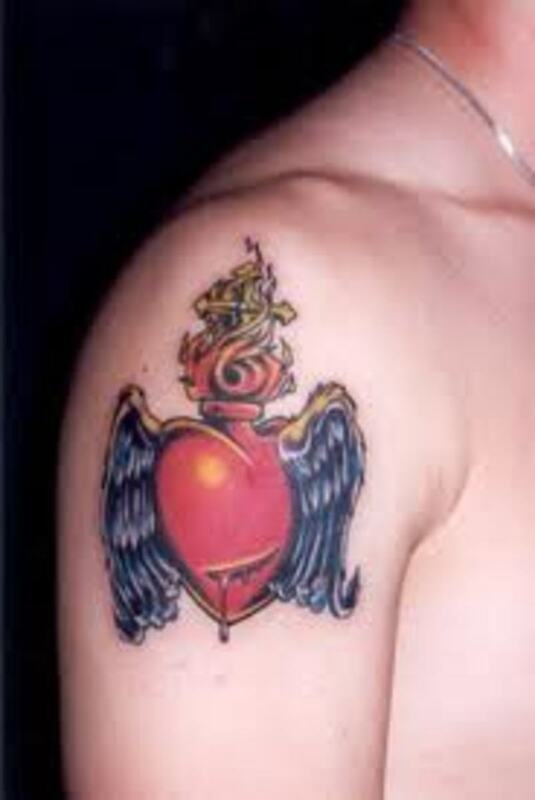 The sacred heart tattoo can actually represent a variety of meanings. 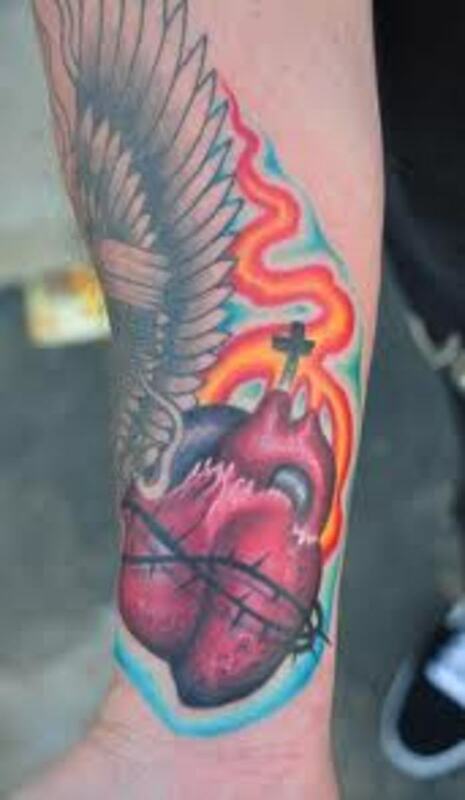 All though the sacred heart fully represents Jesus, as a tattoo, it may be worn for other meanings. 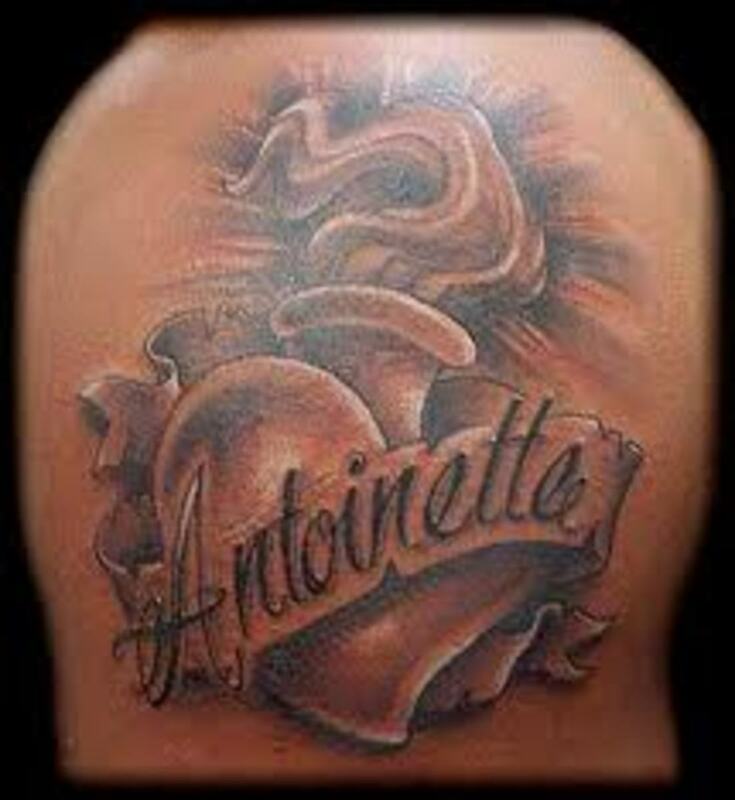 With saying that, below are the meanings behind the sacred heart tattoo. 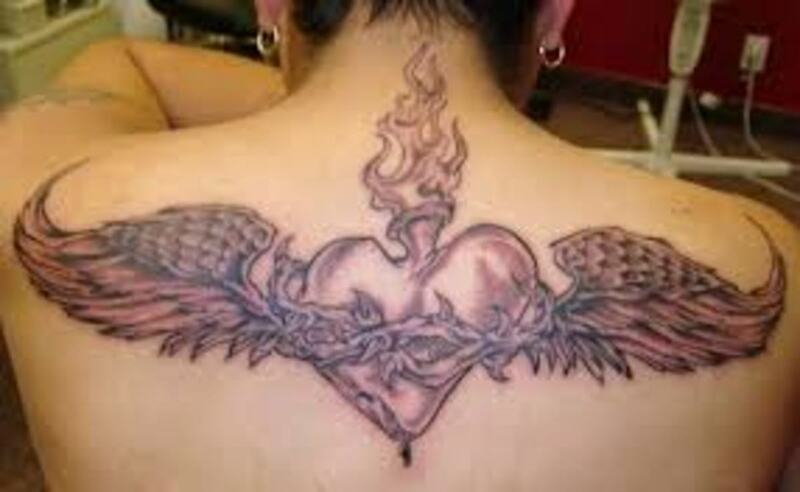 Sacred heart tattoos can be designed in a variety of different ways. 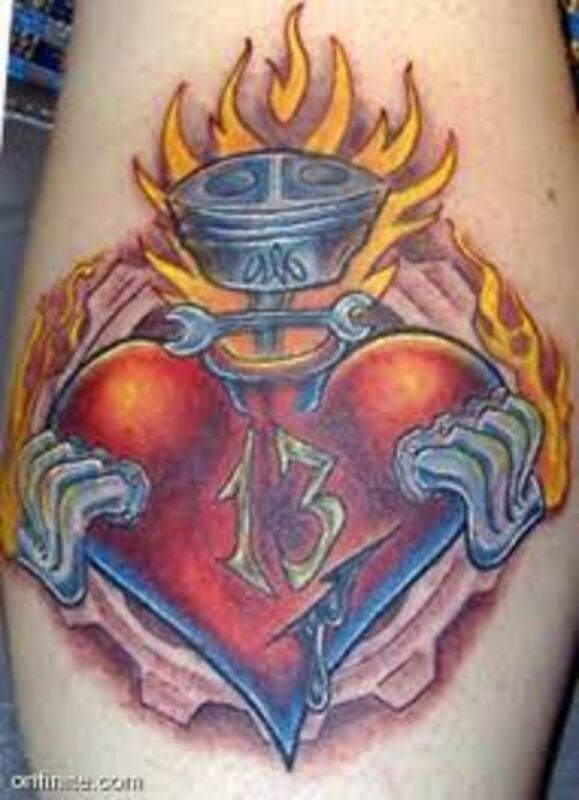 Sacred heart tattoo designs can include a variety of different symbols and elements. 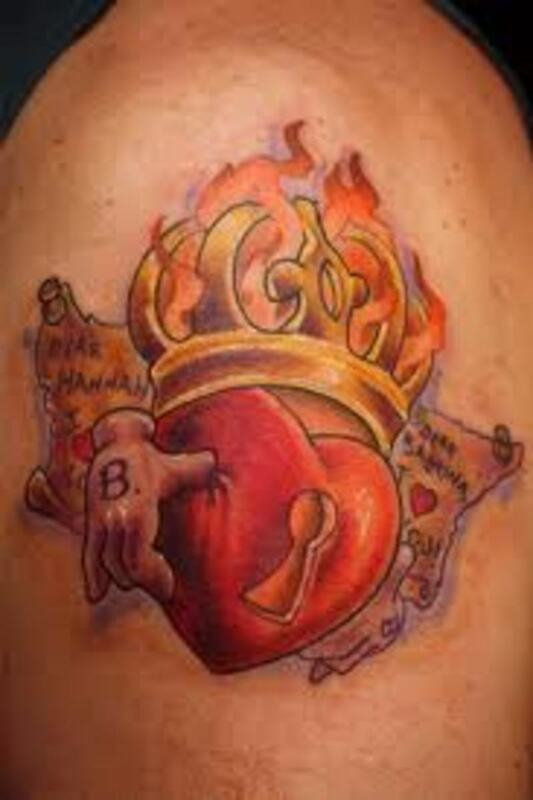 However, the sacred heart always included the heart and flames. 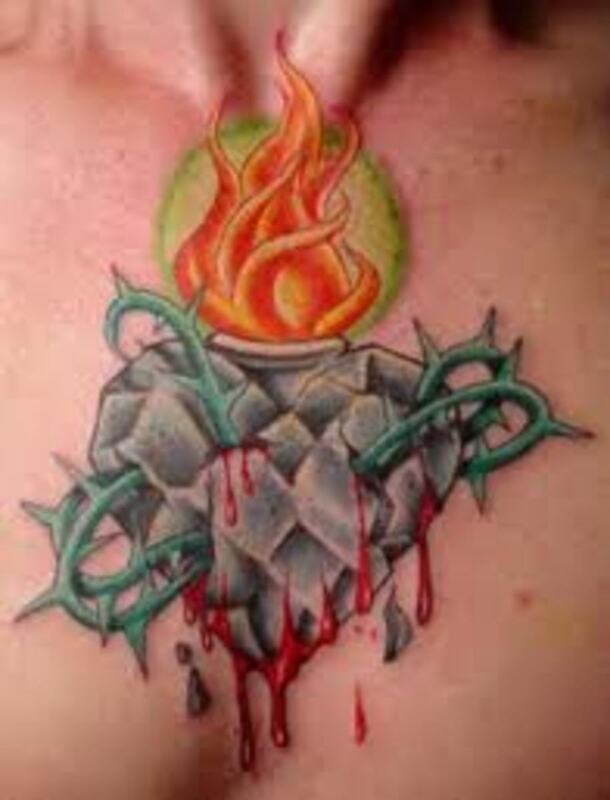 Most sacred heart tattoos also include thorns, which is used to represent the thorn crown of Jesus. 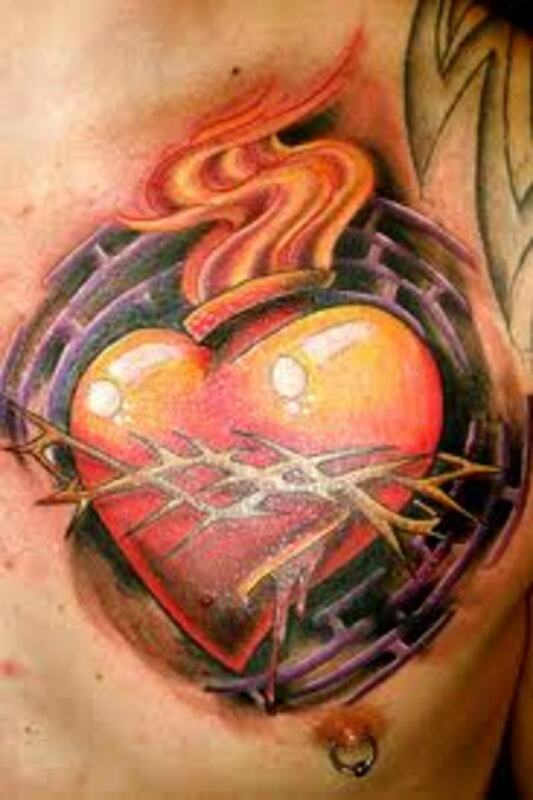 Some sacred heart tattoos may include barbed wire rather then thorns. 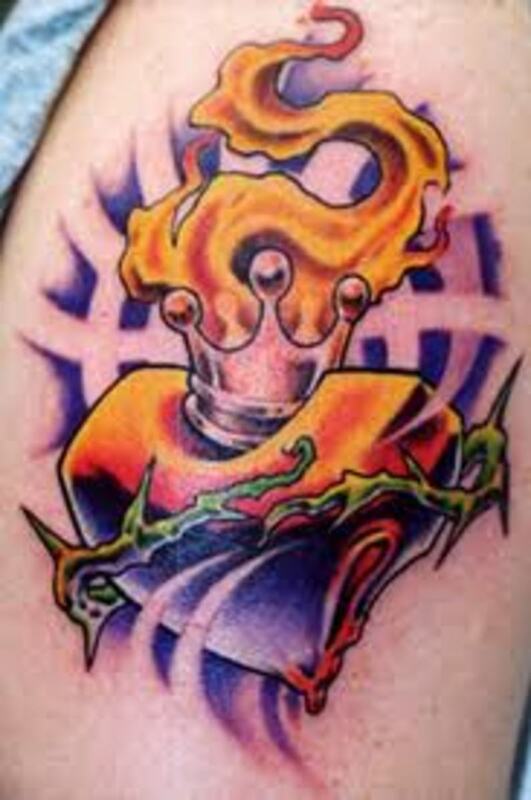 The crown is also another element that may be included in sacred heart tattoo designs. 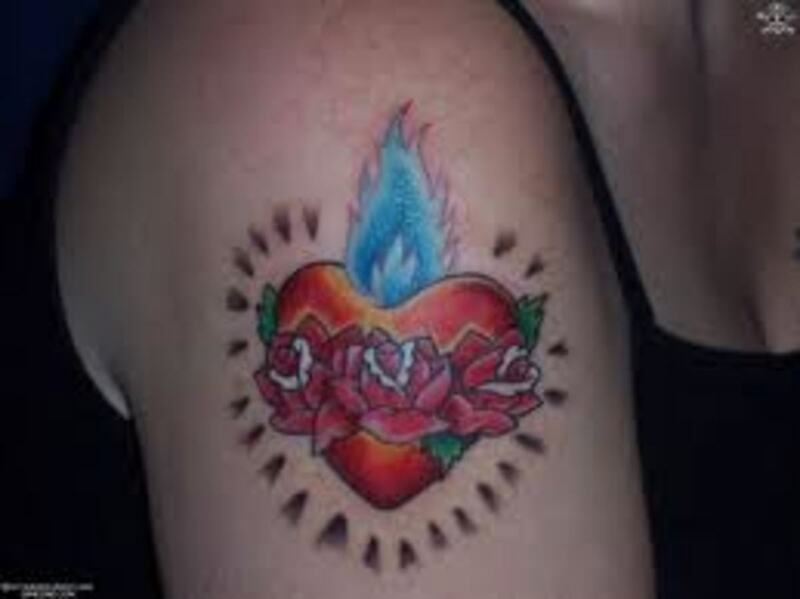 Other then the heart and flames, there are several different symbols that may be chosen for your sacred heart tattoo. Below, you can find a list of those symbols. 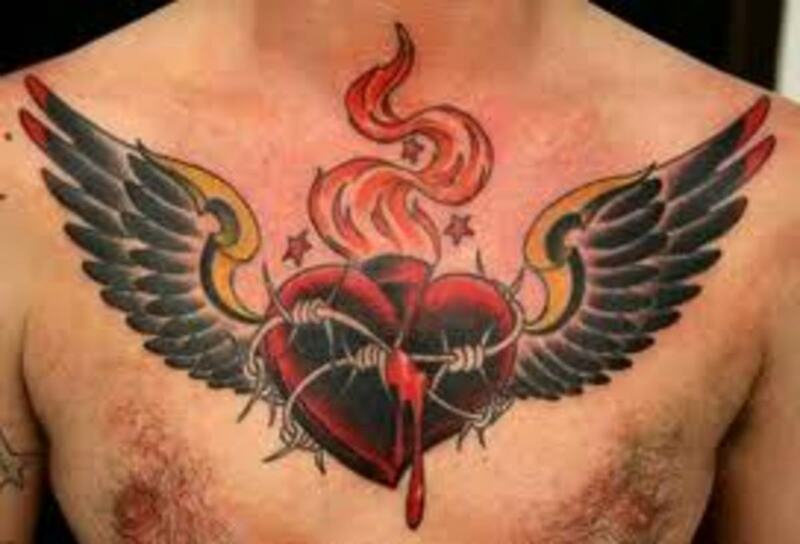 When it comes to the sacred heart tattoo, you should be able to find one that suits your personality or what your trying to portray. If not, you can use a list of symbols that would define you as a person. 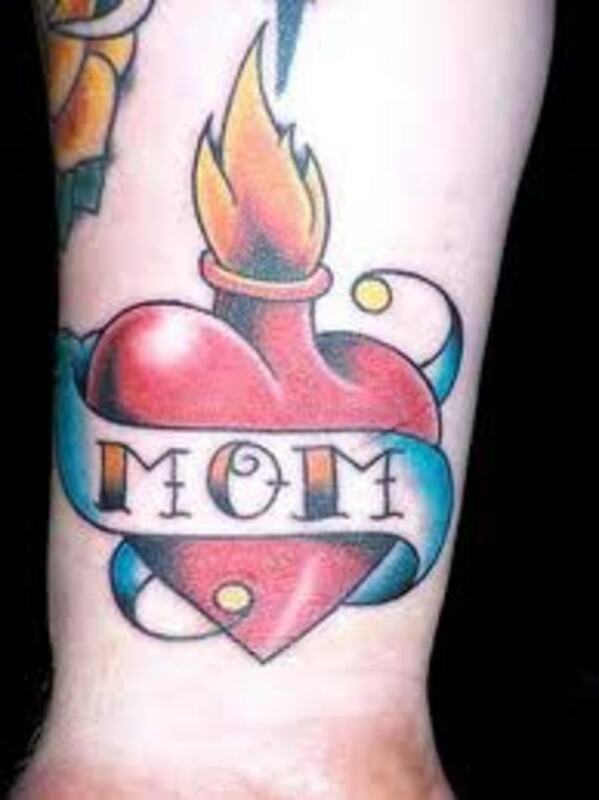 Sacred heart tattoos can be simple in design while others can be an eyecatching tattoo. 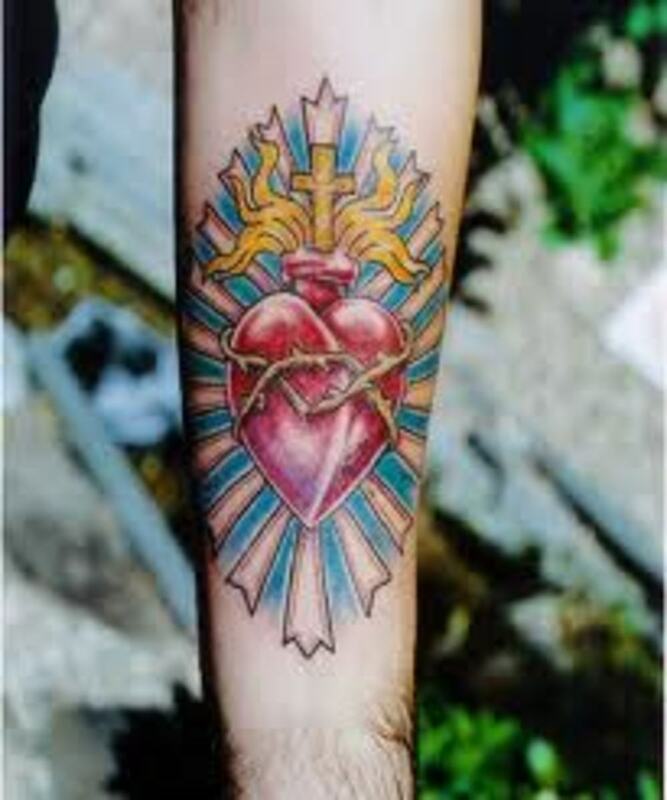 Sacred heart tattoo designs can be small or large. 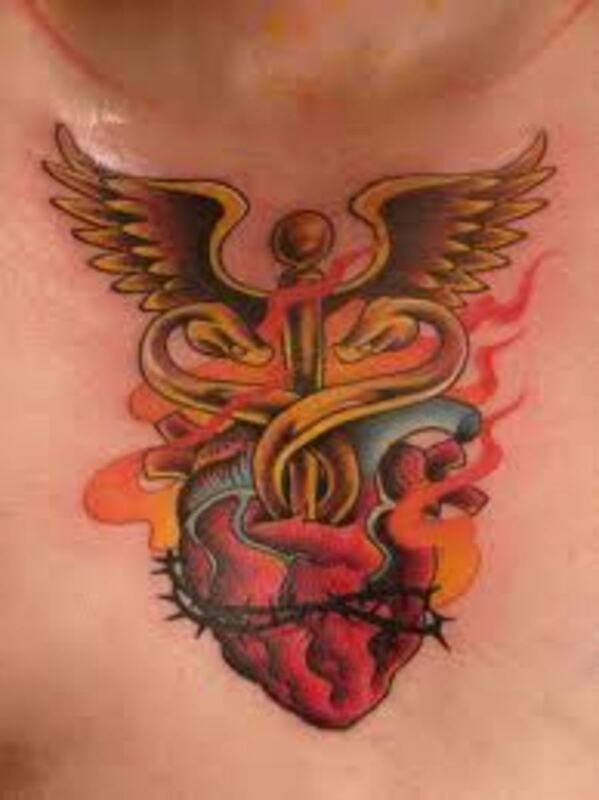 Due to this, sacred heart tattoo designs can nearly be placed anywhere on the body. It just all depends on what your looking for. 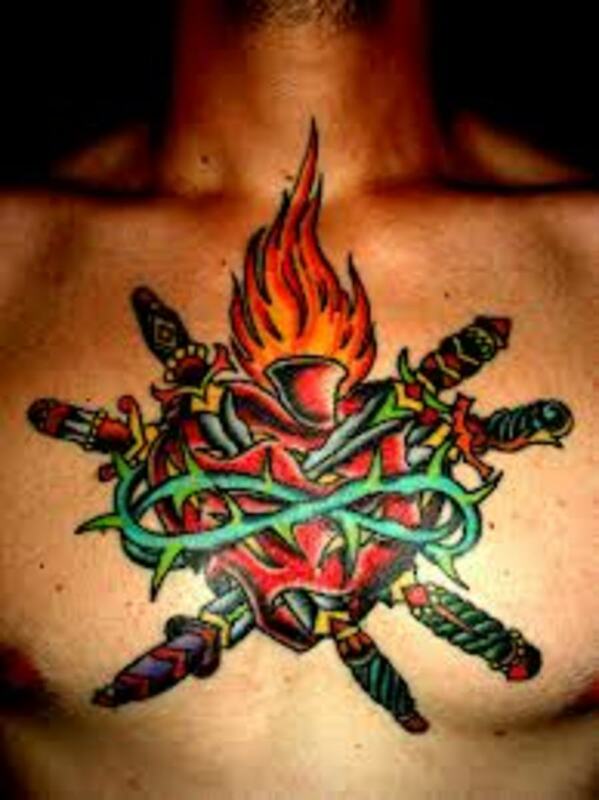 Make sure that you take the time to view all the different sacred heart tattoo designs in this article. 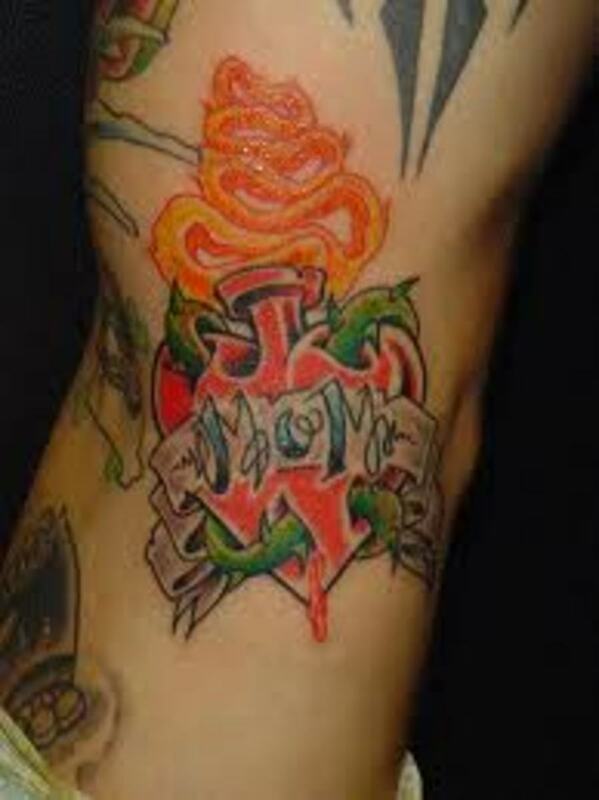 This will give you an idea of what is available, plus you can pick up some tips and ideas for your own tattoo. 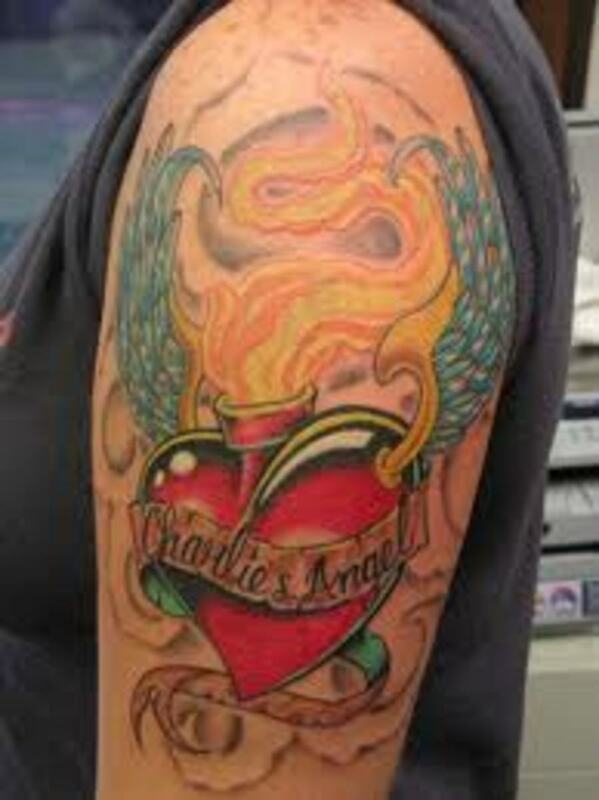 There are some important things that you need to remember before you decide to get your sacred heart tattoo or any tattoo. 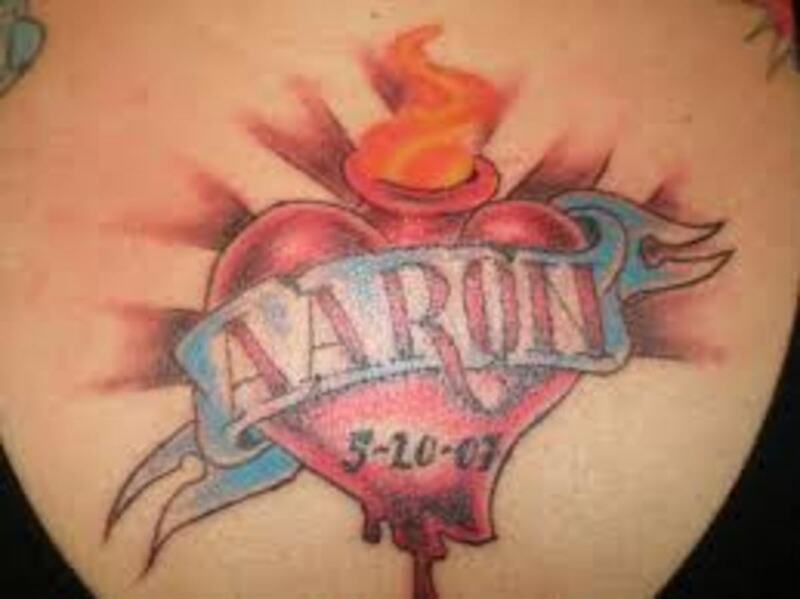 Make sure that you take the time to research your tattoo. 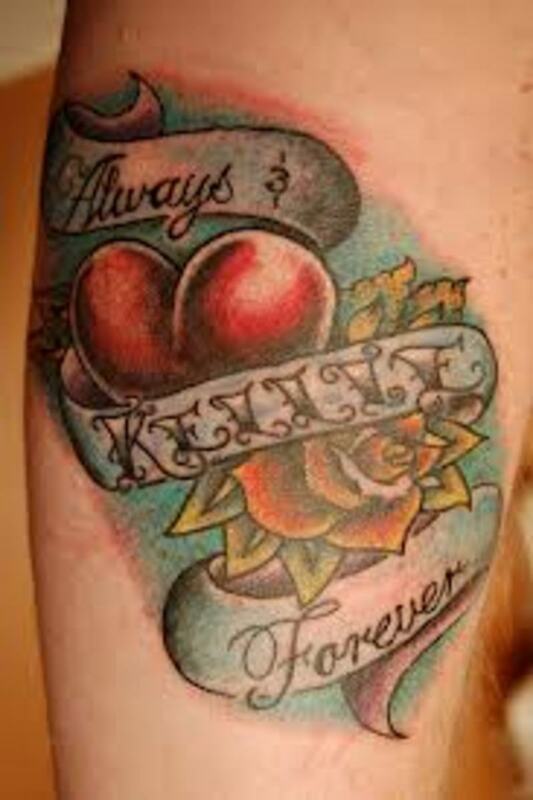 Make sure that you completely know what your tattoo represents and stands for. 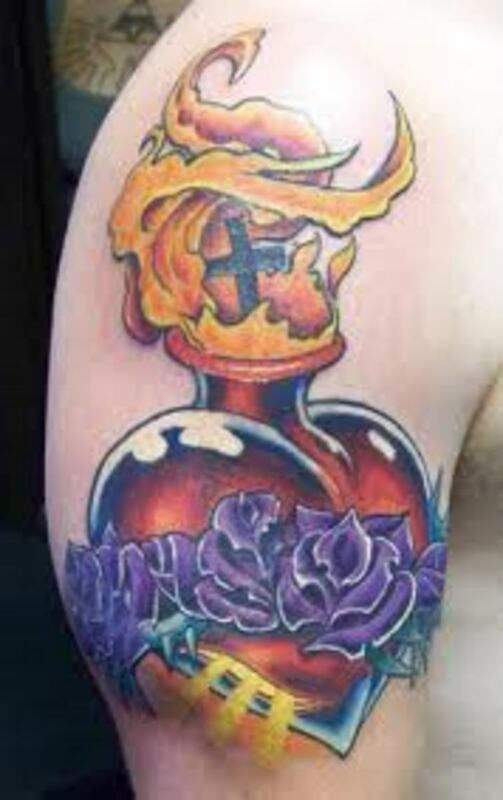 Don't rush to get inked! 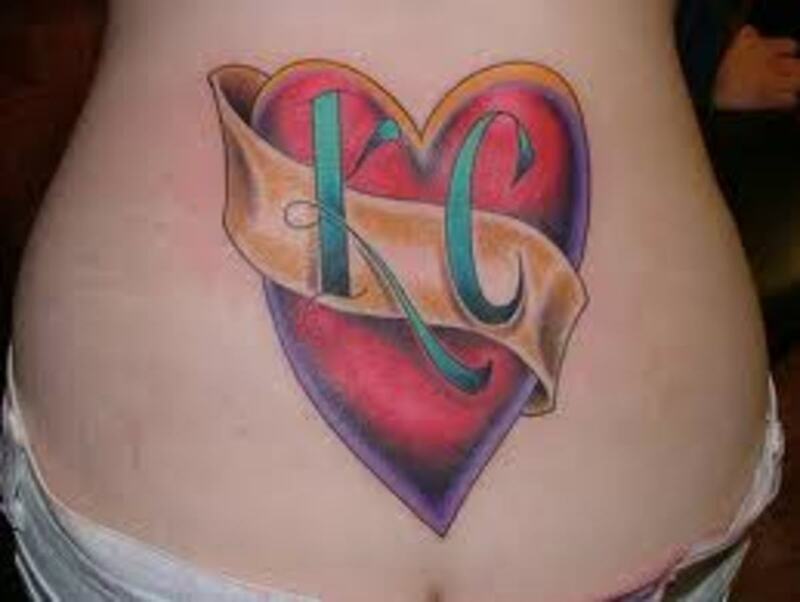 Men and women that rush to get inked on an impulse usually have regrets about their tattoo later on down the road. Don't make this mistake. 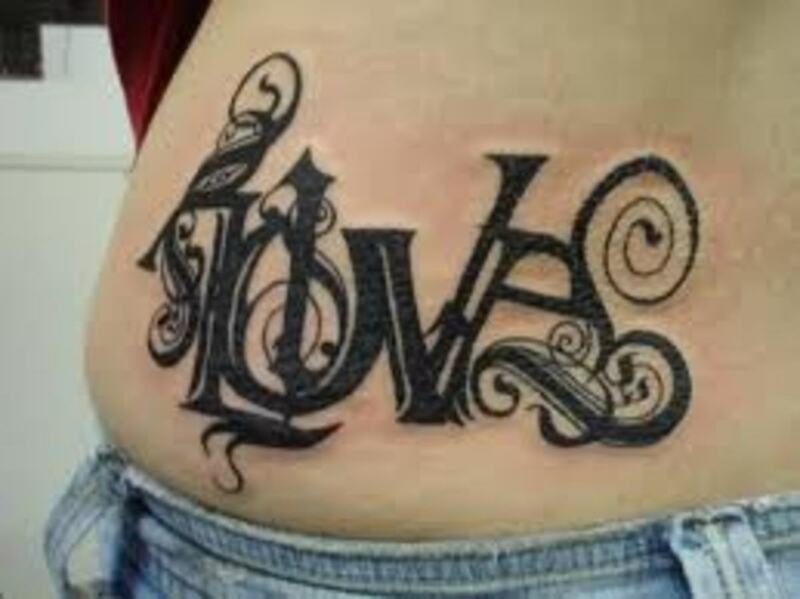 If you are not completely sure, don't get inked! 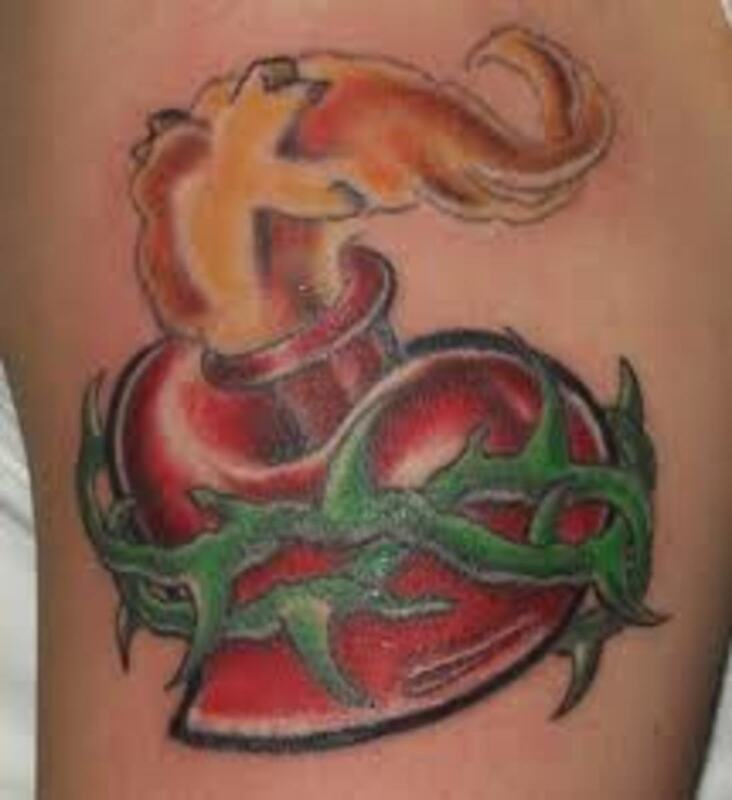 If you feel that the sacred heart tattoo is not for you or you want to view more tattoos, please feel free to follow the links below. As always, thanks for your visit! Max, thanks for taking the time to comment and drop in. Good question Max. Interesting way to look at it like that. I would have to say yes, I would agree. Well, with all high and mighty meanings I still feel a little shaken looking at them. Or may be that's exactly the point? Lightshare, thanks for taking the time to drop by. I am glad you enjoyed it. Take care. 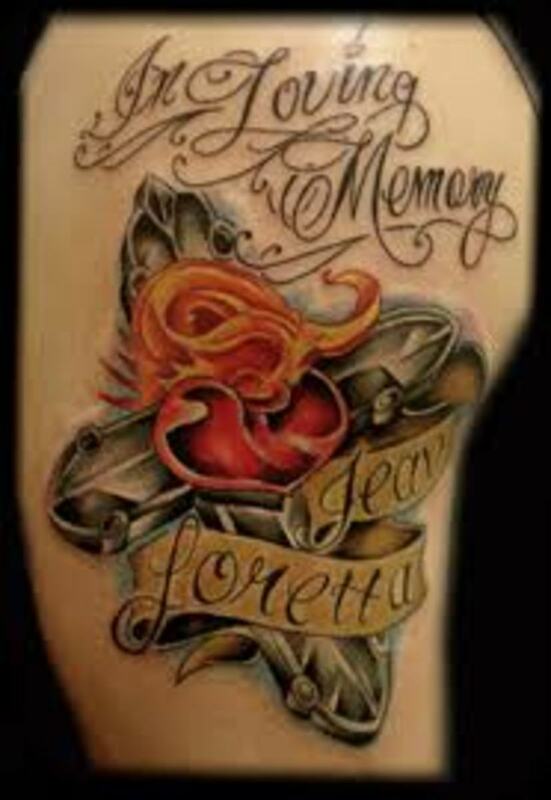 Interesting subject and very beautiful collection of tattooes. Thank you very much. Wow, beautiful..The artistry is amazing.. 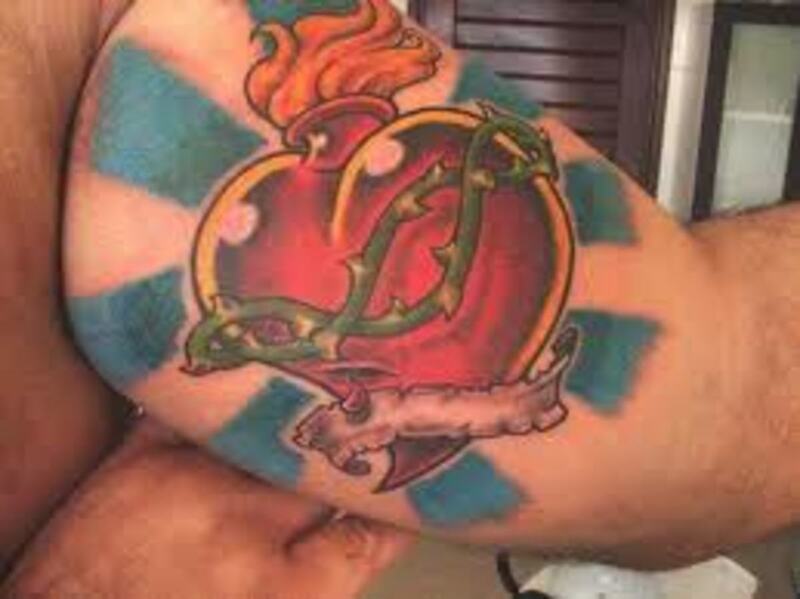 So it looks like the difference between this design and those of ordinary hearts is that this has a symbol rising out of the heart like a cross or crown. Voting this Up and Interesting. 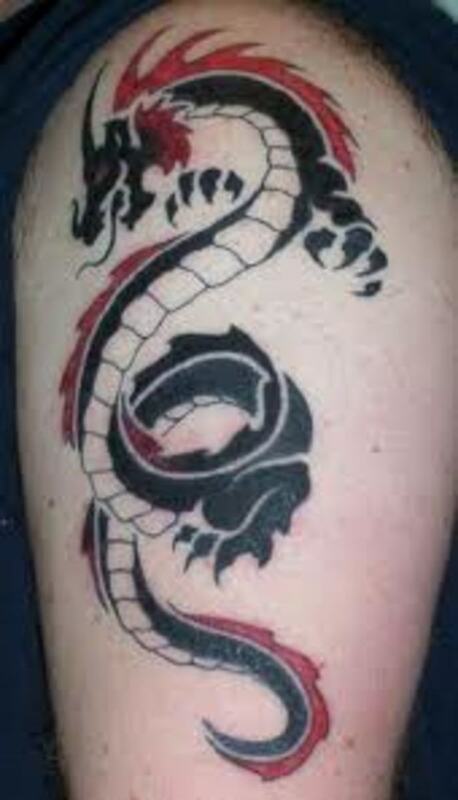 Hi my friend, love these tattoos the best, awesome photos ! Your hubs are so very easy to read and that's saying a lot since this isn't a topic I'm particularly interested in. I'm not sure if that sounded like a compliment but it was meant as one. You break up the information into small chunks; your pictures are stunning. Great job!